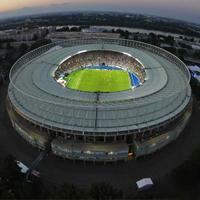 Vienna: Brand new stadium for Euro 2020? The football association of Austria (ÖFB) is hopeful to launch a successful bid and host Euro 2020, but first precise infrastructural criteria for host stadia have to be released. They were due in late March, but are now expected by the end of April. What is clear already, is that only Ernst-Happel-Stadion is big enough to meet the 50,000-seat minimum requirement. UEFA does plan two exceptions for stadia 30,000+, but ÖFB don’t expect Klagenfurt or Salzburg to have any chance of grabbing one of those spots. Alfred Ludwig, ÖFB chief executive, isn’t sure if any stadium in Austria will meet the requirements. He’s afraid that even adding press and hospitality infrastructure to Ernst-Happel-Stadion may fall short. This would mean that a completely new stadium built in the place of E-H-S may comply with new guidelines. If it’s the only option, ÖFB hope to pursue it. But even building anew leaves some risk. “There’s no point in applying for something, if we don’t meet criteria in 100%. Nevertheless, UEFA will still choose from 25 or even 50 cities”, says Ludwig, suggesting the risk of not being selected is high.